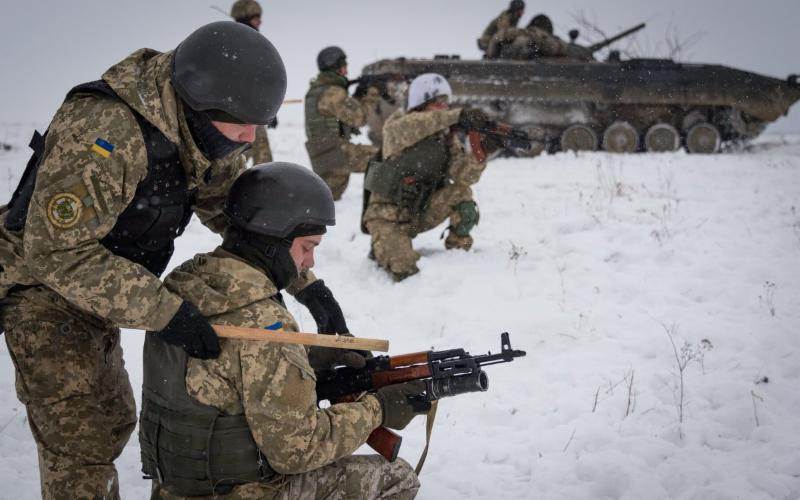 The General Staff of Ukraine’s Armed Forces reported at 12:30 PM Kyiv time that in the last 24 hours, one Ukrainian soldier was killed and one Ukrainian soldier was wounded in action. 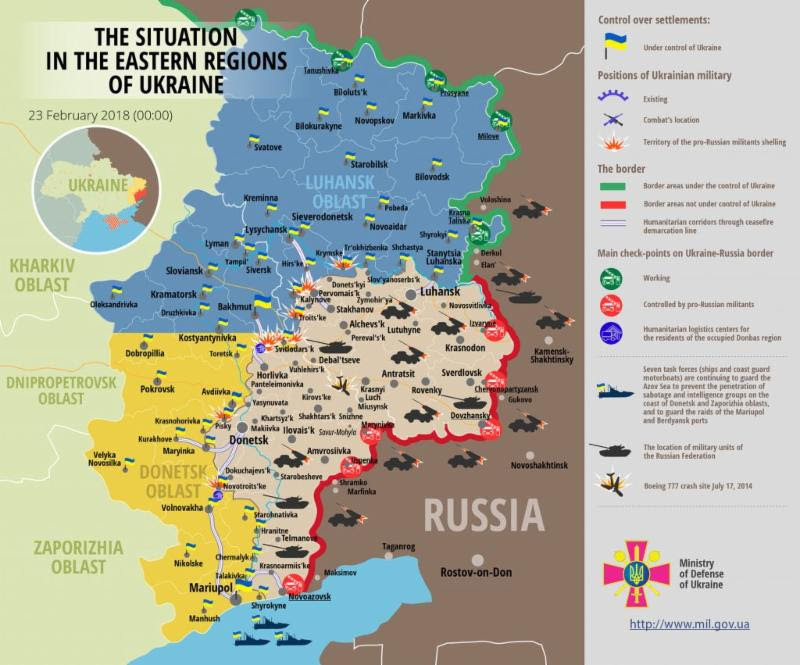 In the last 24 hours, Russian-terrorist forces fired on Ukrainian positions on the Donetsk and Luhansk sectors of the front 19 times in total, including at least 10 times with heavy weapons. At the US State Department press briefing on February 22, spokesperson Heather Nauert stated, “our deputy secretary was just in Ukraine yesterday. I’d like to turn your attention to that matter, where Russia continues to perpetuate a conflict that has now claimed more than 10,000 lives. Yesterday we received new reports that a 23-year-old Ukrainian medic was killed while he was trying to aid civilians near the line of contact. The incident is a reminder that the conflict in eastern Ukraine continues to rage on. Civilians and first responders face real dangers every day. It’s also worth repeating that Russia manufactured this conflict in 2014 and continues to control its proxy forces in Donbas. Russia has demonstrated repeatedly that it can stop the violence whenever it chooses. 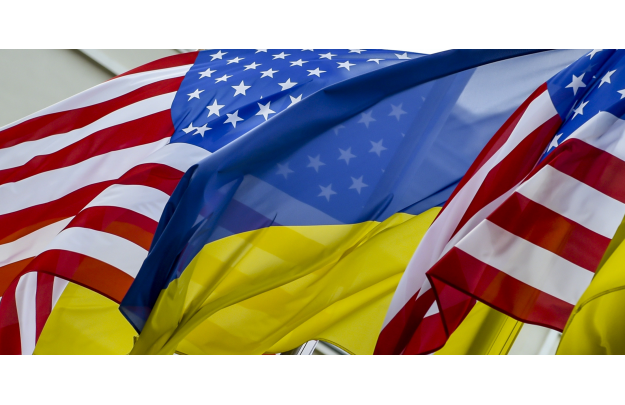 The United States once again calls on Russia to order its proxy forces to implement a complete ceasefire, to withdraw its forces and heavy weapons from eastern Ukraine, and to agree to a robust UN peacekeeping mission. Reuters reported, “General Electric Co’s transportation unit said on Friday it signed a $1 billion deal to supply 30 freight locomotives to Ukrainian Railways. Under the agreement, the unit will also supply additional locomotive kits over 10 years, rehabilitate locomotives in the railway’s legacy fleet and provide long-term maintenance services. Putin’s invasion of Ukraine was the most naked form of aggression in Europe since World War II and globally since Saddam Hussein invaded Kuwait in 1990, and it must be acknowledged as such. 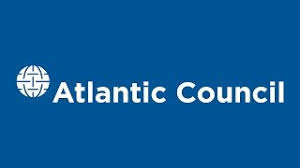 Western support for Ukraine that includes weapons assistance must continue, along with constant Western pressure on Ukraine to live up to its goals of democratic reform, without which it would be vulnerable to Russian pressure. As everyone west of Russia recognizes, an independent democratic Ukraine secure in its 1991 borders is not a threat to anybody. In fact, as Sherman Garnett wrote a generation ago, Ukraine is ‘the keystone in the arch’ of European security.